Hi there! I have a couple of cards to share today. The first one using lots of layers and the gorgeous Webster's pages Vellum on the bottom there. I also layered some Crate Paper bits and a few sequins, Prima flower and some spots of Shimmerz Inklingz. The second card a little girly one for my niece. 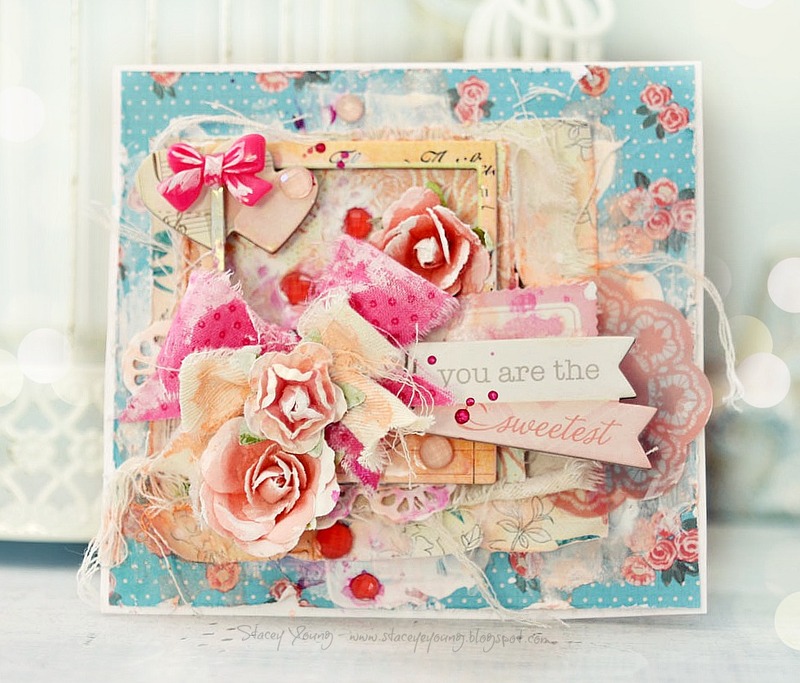 I have used Crate Paper here with some Prima flowers. So you may or may have not known a few months ago now, my wonderful husband, decked out a new scraproom for me. I thought I would share some photos with you all of my space. I certainly love retreating to my little room of pretties (as I like to call it)! With a house full of boys its the one place I can have flowers everywhere....lol!!! I bought this shelf from a Newsagent! It's gorgeous and perfect for all of my little jars and bowls. I bought the 4 x 2 cabinet at Bunnings and flipped it on the side. Fits lots of baskets etc but I am still on the hunt for more storage items. I bought the white newspaper rack from The Reject Shop and thought it would be perfect for all of my paper pads. Tim also added steel racks for me to hang things off (I had these in my old room). Look at my mountain of Shimmerz....yummo!! Can't get enough! I bought the corner shabby shelves from a homewares store for half price. Some of my mediums! Pen and tool holders from Typo. I have a 3 tier rack for Washi tapes, threads and twine. Glass jars for Resin pieces. Last picture today of my paper rack! So I am pretty pleased with the job he did, building all of these shelves and cupboards for me. He did really well! I am still not finished decorating, not sure I ever will be but there you go, here is my crafty haven!!! REALMENTE MUITO INSPIRADOR, AMO ESSA COR, MARAVILHOSO, TUDO!!! BEIJOS!!! Wow!!!!!! !Stunning place you have everything so nice. I look for so many times and I love all the details!!! It's so nice to see your crafty space! It looks just fabulous. I also looooove both ards. They are so detailed and pretty. LOVE IT! Congrats on the new room - looks absolutely beautiful and what a place to get crafty in! Enjoy! Cards are beautiful too! Love lovelove your cards!!! And your craftroom looks amazing too!! Wow!! 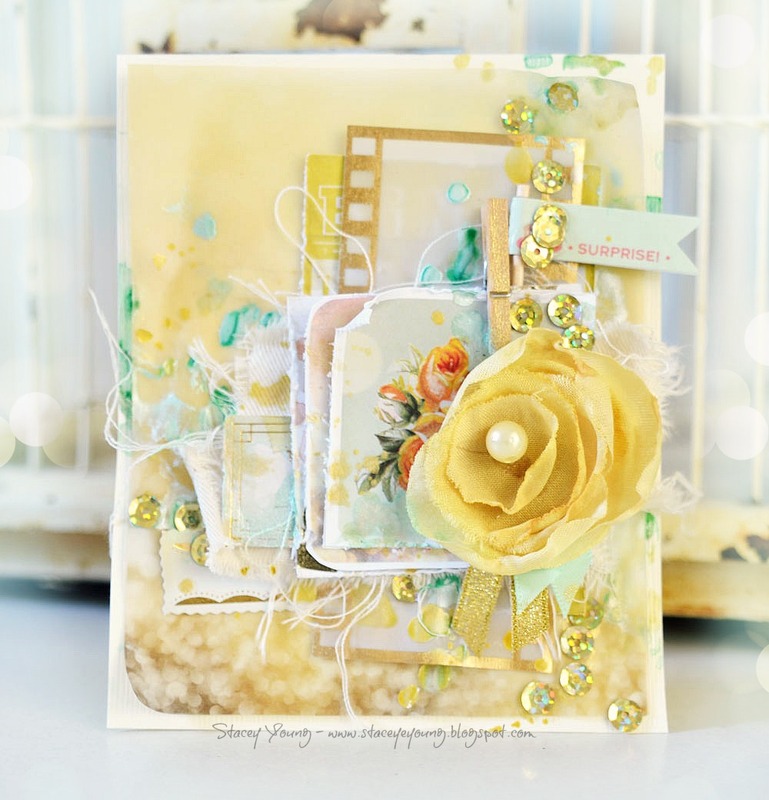 Love your cards, and LOOOOVE your space!